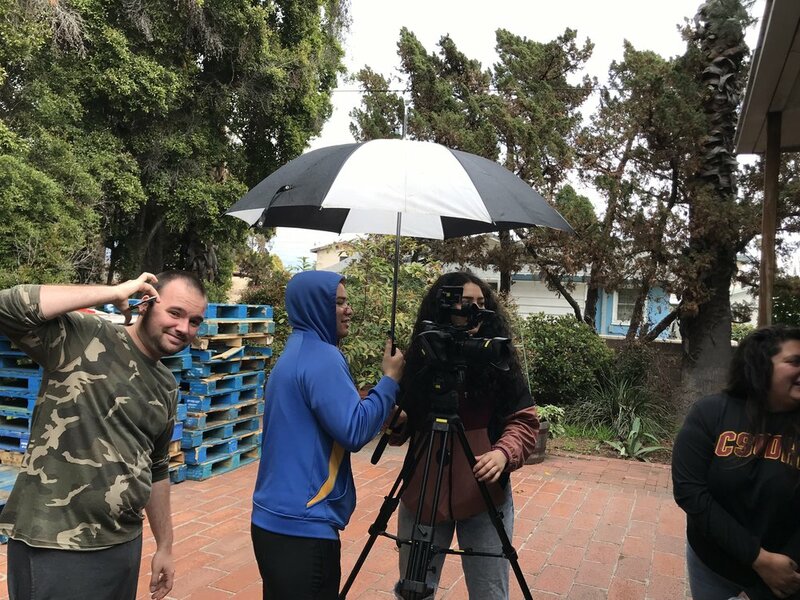 Film students from Cal State Dominguez Hills recently filmed part of their documentary on food distribution and limiting food waste at (Y)Our Saviour Center’s Food Pantry. The students learned about (Y)Our Saviour Center’s Food Pantry from a local resident! The students interviewed Family Services Program Manager Diane Williams about how we source food and how we receive donations from a variety of organizations. (Y)Our Saviour Center’s Food Pantry is now the 6th largest food pantry in L.A. County, serving more than 15,000 families each year. Come down and see us during our Food Pantry hours: Tuesdays and Thursday, 10:00 – 1:00.